When you purchase a new swim spa in Birmingham , your swim spa contractor will need to equip your new pool with a swimming pool liner. In this video from Helpful Ideas, you will learn all about the most common types of liners that are used for swim spas and fiberglass pools. From beaded liners to j-hook liners, your contractor will have many different liner options for your new pool installation. To choose the best pool liner for your swim spa, it is important to consider the functional and durability of each type of liner. Overlap liners, for example, simply drape over the exterior of a pool’s frame. Beaded liners, by contrast, snap into place. No matter what type of liner you choose, you will want to pick out a product that comes with a great warranty. Even with dedicated maintenance, your swimming pool liner can develop a small hole and leak water. If this leak is not found soon, then you could spend a lot of money in water and energy costs, as well as future repairs to your pool and liner. Watch the video and continue reading to see how you can locate a leak in your pool’s liner near Birmingham, AL . Turn off the filter and other equipment leading into your pool. Purchase pool and hot tub supplies known as rubber stoppers. Use these objects to plug up your return jets and filters. Your water filtration equipment should be turned off, and the stoppers will prevent the water from going anywhere else. However, if you notice the pool water has decreased over a 24-hour period, then you likely have a leak in your pool liner. Speak with your swimming pool installer about repairing or replacing the liner soon. As your pool liner ages, its look will diminish greatly. Your pool will have a faded or dingy appearance that will make it unappealing to swim in. The longer your pool liner is not replaced, then it will continue to worsen in appearance. If your pool liner ages beyond a safe time limit, then it could rip. If your pool liner rips, you could be looking at expensive repairs or costly leaks in your above ground pool. Once your pool liner rips from old age, the water and sanitizing chemicals could damage the rest of your pool’s structure. This could mean even more repairs or a replacement of your entire above ground pool. One of the drawbacks to building an inground pool is that you often cannot change the way it looks. Thankfully, that is not the case with pool liners in Birmingham, AL. You can update and change the look of your swim spa and pool with a vinyl pool liner replacement . Vinyl pool liners will typically last about 20 years, but you may want a change or need a replacement in that time. Use this opportunity to try out something new. Pool liners are manufactured in such a way that they can represent any tiled, sanded, or pebbled look that you might find in a typical inground pool. They can also come in a multitude of colors, designs, and styles. For example, if you want to update your pool or spa to look like a Grecian bathhouse, then you may try the pebbled waves of a Riverside or Santa Barbara pool liner. If you are looking for something simple, then try out a Rio or Sedona pool liner. In case you want a truly exotic-looking pool, then install a Monterrey or Baja liner. You cannot go wrong with the many pool liner choices available to you. Having your very own swimming pool can be relaxing and good for your overall health. When you have a pool, your home can be the go-to spot for your friends and family for weekend relaxation and fun. You can also enjoy it at any time you want on your own. As a pool owner, there are a number of responsibilities you have to keep your investment in good shape. 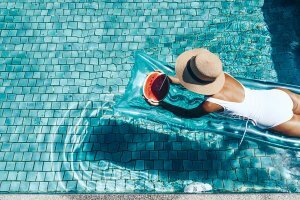 A pool liner replacement in Birmingham may be necessary after you have owned your pool for a number of years, or when it shows other signs of wear and tear. Read on to learn how to tell that you need a replacement pool liner. If you see cracks in your pool liner, it is a sure sign that it’s time for a replacement. 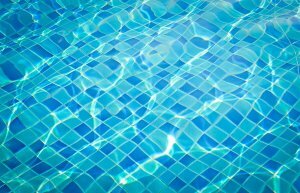 Pool chemicals and harsh UV rays can cause your pool liner to deteriorate over time. Keep in mind that some cracks are visible, while others may be too small to see. A routine pool inspection can help spot these cracks and let you know that it’s time for a replacement. This can save you time and frustration in trying to figure out what is wrong with your pool. Have you noticed that the water level in your pool is going down too quickly? This can indicate that you have a problem with your pool liner. As time goes on, a pool liner can lose its durability and start to leak water. Water leaks can cost you money, as you’ll have to refill your pool more often. Leaks can also cause problems such as corrosion, and may even lead to issues such as sinkholes. Your pool is subject to UV rays throughout the summer when they are the strongest, and the pool liner can take a beating from that. Most pool liners are resistant to fading, but eventually, it can happen. Fading is one of the first signs that your liner will need to be replaced soon. Pool liner stains can be an unsightly nuisance for any homeowner. When you notice stains on your vinyl pool liner, it is a good idea to determine the precise cause of the staining. For example, black stains can either be caused by metal deposits or algae. If your black stains have a slick feeling to them, you may have an algae problem. A company that specializes in vinyl liner installation near Birmingham, AL can help you determine the precise issue with your pool liner. Whether your staining is caused by algae or metals, a professional technician can help you get to the bottom of the use. For more information about the causes of pool liner stains, check out this video from SwimmingPool.com. Whether you are planning on installing a new above ground pool in your home, or your current pool is in need of an update, it is important to choose a quality pool liner. With a pool liner that is both functional and stylish, you can feel great knowing that your pool will remain in fantastic condition for all of your recreational needs. By working with a company that offers vinyl liner replacement in Birmingham, AL, you will be able to select the perfect vinyl liner for your pool . Below you’ll see some factors that will guide you toward the right liner for your pool upgrade or installation. When you are planning any project related to pool installation or renovation, your budget will be among the most important considerations. Overlap pool liners that will cover the walls of your pool and stay in place with a series of coping clips will be one of the most cost-effective choices, making this type of liner perfect for projects with tighter budget constraints. The shape and size of your pool will be important to think about when you select a liner. Naturally, you will want the liner to fit perfectly into your pool so that you do not experience slippage and other issues. With options like the J-hook pool liner, you can ensure a strong and secure seal that will keep the liner in place every time you go for a swim. Most pool liners are simple to install when you work with a professional pool company specializing in vinyl liner replacements. Still, you might opt for the most hassle-free liner installation, which will come with beaded pool liners. These liners will snap into a track system with bead receivers, which secure the pool liner at multiple contact points rather than hooking onto the rim of the pool.